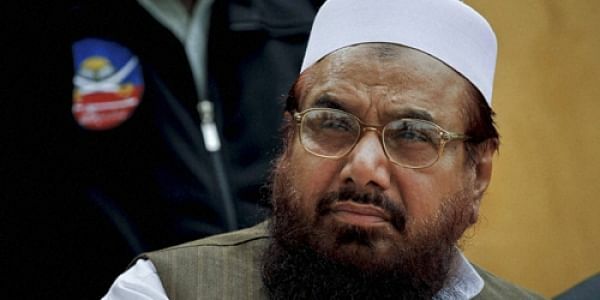 Allah-o-Akbar Tehreek backed by Hafeez Saeed and an internationally designated global terrorist, whose son and son-in law are among the 200 party candidates contesting both polls. NEW DELHI: The sentencing of former Pakistan Prime Minister Nawaz to 10 years in prison just before the provincial and general elections slated for July 25 is a blow for the ruling Pakistan Muslim League (Nawaz), and a message from the deep state (read military) that it will brook no opposition from elected leaders. While the army-endorsed Pakistan Tehreek-e-Insaf (PTI), led by former cricketer-turned-politician Imran Khan, has already started to climb up the ratings, the number of hardline religious parties in the fray has seen a significant increase, causing concerns both within and outside Pakistan. These include the obscure Allah-o-Akbar Tehreek backed by Hafeez Saeed, the mastermind behind the Mumbai attacks and an internationally designated global terrorist, whose son and son-in law are among the 200 party candidates contesting both provincial and National Assembly elections. Then, there’s the rabid Tehreek-i-Labbaik Pakistan, which has fielded more candidates than the Muttahida Majlis-i-Amal (MMA), an alliance of religious parties led by Jamiat Ulema-i-Islam chief Maulana Fazlur Rehman. A number of “electable” PML(N) candidates have left to join Khan’s PTI or are contesting as independents, leading to speculation that they were either pressured or threatened by the army to do so. One of them, Chaudhry Nisar Ali Khan, who is contesting two NA and two assembly seats from Punjab as an independent, has been allotted a ‘jeep’ as a poll symbol. The fact that some 119 candidates across the country have been allotted the same symbol has led to speculation that they are all backed by the deep state. “....It should be found out how people are being forcefully brought off from the lion symbol (of the PML-N) and being made to climb the jeep,” tweeted Nawaz Sharif’s daughter Maryam Nawaz from London, where her mother Kulsoom is being treated for lymphoma. Maryam, too, has been sentenced to seven years in jail. While sating that the elections were an internal issue of Pakistan, an Indian official privately opined that “if indeed democratic forces are being subverted by the military, it does not bode well for the future of a nation already facing immense economic pressure and international scrutiny for being an abettor and sponsor of terrorism”. Sixty of Pakistan’s 342 National Assembly seats are reserved for women, while 10 are for ethnic and religious minorities. Apart from Sharif’s PML(N), now led by his brother Shahbaz Sharif, and Imran Khan’s PTI, the other main parties contesting include the Pakistan People’s Party led by former Bilawal Bhutto Zardari, and the Muttahida Qaumi Movement led by Farooq Sattar.